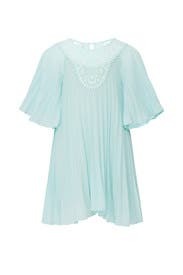 This summer stunner by Chloé Kids features trendy pleating and a lace panel neckline for your little style star. Your children’s privacy is very important to us. Please see our FAQ's for the full terms of the kids program, and more about how we will handle any information we receive relating to kids items. 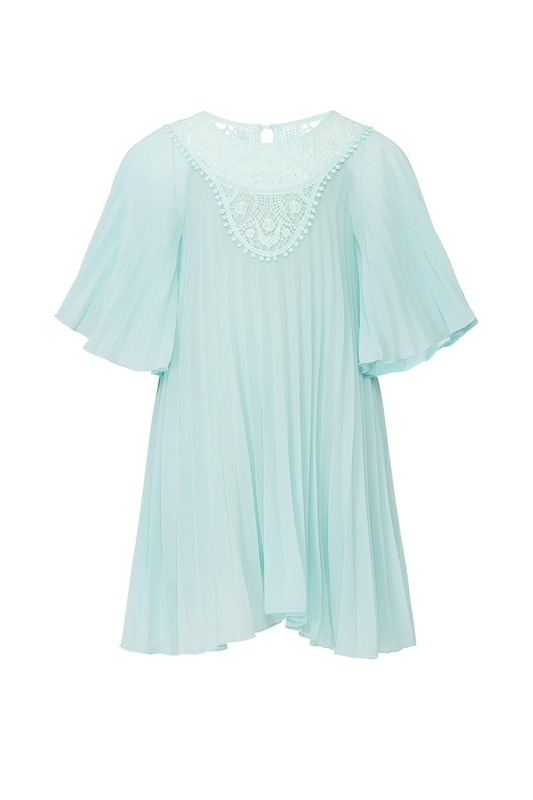 Turquoise short sleeve dress (100% Cotton).